President Recep Tayyip Erdogan has lashed out a French journalist after he was asked a question about Turkish intelligence’s alleged arm shipment to Syrian extremists in Syria. 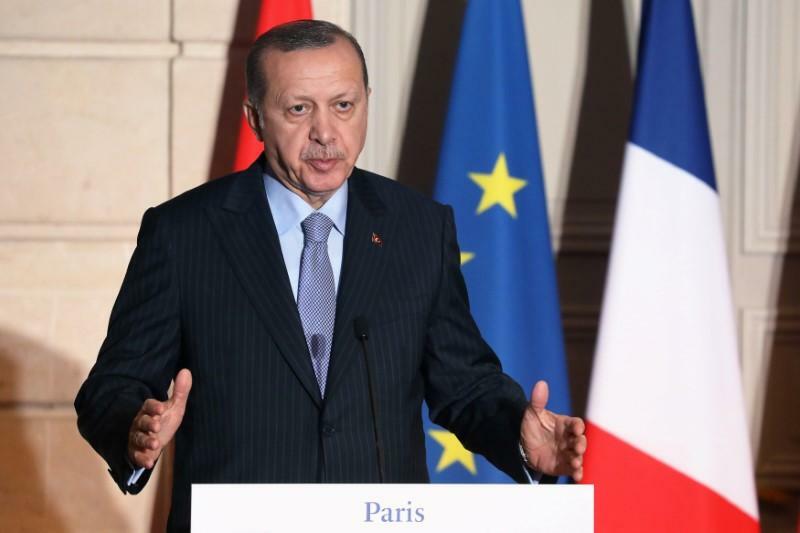 “You are talking like someone from FETO organization,” Erdogan responded to French reporter Laurent Richard during a press conference in Paris on Friday. “Today I just tried to ask questions turkish journalists can no longer ask to @RT_Ertogan,” Richard later tweeted. Turkish government blames the Gulen movement for the July 15, 2016 coup attempt and calls it FETO, short for the alleged Fethullahist Terror Group.